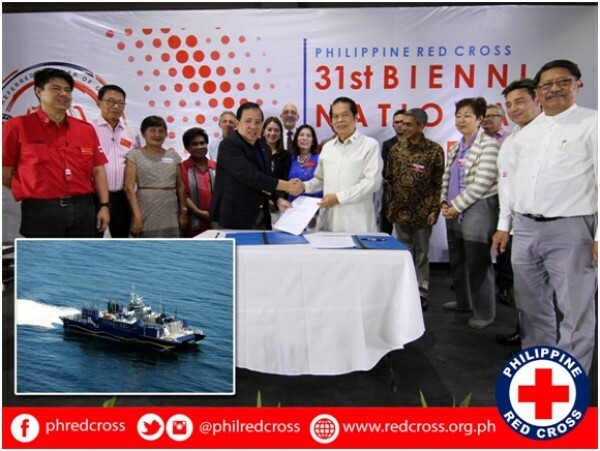 The AMOSUP-run Maritime Academy of Asia and the Pacific (MAAP) has agreed to provide manpower and technical support to the newly acquired vessel of the Philippine Red Cross (PRC) for its humanitarian mission. PRC’s acquisition of the mv Susitna, a 195-ft military proto-type ship, brings its humanitarian service to new heights with the use of a rapid transport and landing craft for relief supply and medical facility deployment. It will also serve as a rescue vessel and command post for mobile operations in marine disasters and natural calamities. Apart from providing officers and crew to the ship, the Academy will also recommend a maintenance of the vessel and provide technical assistance for repair, according to a memo of agreement signed between MAAP president VAdm Eduardo Ma Santos (AFP, ret) and PRC chairman Richard Gordon. Under the agreement, MAAP can recommend and select candidates for two sets of crewmen to the vessel so that replacement can be obtained in case of resignations from the ship. PRC, as the shipowner, will determine as to when and where to deploy the vessel. PRC will only have to provide allowances for the crew during relief or emergency operation. Though it may have the option to hire on a full time basis for the crew that MAAP will provide and be entitled to PRC’s regular employee compensation. 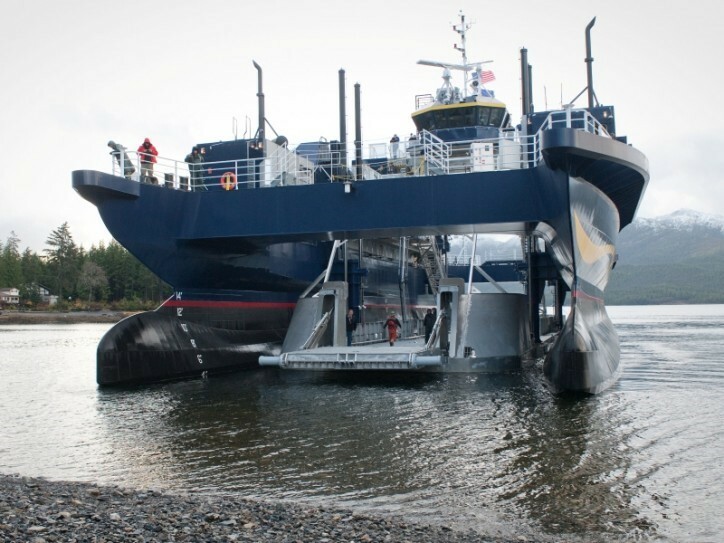 The Susitna, which the PRC purchased for $1.75 million, is a catamaran ferry that has the space to hold up to 129 passengers, 20 vehicles and has a 35-tonne overall freight capacity. It has a main deck that can be lowered to offload equipment and can land on beaches in as little as four feet of water. Mr Gordon said in a statement that PRC really needed a ship with the Philippines being an archipelagic country that is visited by an average of 22 to 26 typhoons a year; an average of 170 maritime accidents also occur every year, apart from being prone to earthquakes, landslides, volcanic eruptions and man-made disasters. PRC further noted the necessity of a ship during their Typhoon Yolanda experience in Eastern Visayas due to the closure of airports and seaports, which made difficult for the Red Cross to bring relief to the affected areas. “At the onset of Yolanda, it took us four days to reach affected areas. Hence, the Red Cross and delegates from partner National Societies and IFRC agreed that we need our own ship to effectively perform our humanitarian work in the Philippines and the Asia Pacific Region,” he said. The vessel was built for the U.S. Navy at the Ketchikan Shipyard and was donated to Matanuska-Susitna Borough in Anchorage, Alaska after the Navy was finished with it. Once envisioned for ferry service between Point MacKenzie and Anchorage, the borough is said to have been trying to sell the Susitna for about three years since plans to build a landing terminal outside of Anchorage fell through. PRC Chairman Richard Gordon and Ret. Vice Admiral Eduardo Ma. R. Santos, president of the Maritime Academy of Asia and the Pacific, signed a memorandum of agreement (MOA) for the crewing and maintenance of MV Susitna (inset photo). The MOA signing, held on April 15, 2016 during the PRC’s 31st Biennial National Convention, was witnessed by Mayor Emiliana Villacarillo of Dolores, Eastern Samar, PRC officials and members of the Board of Governors, and representatives from PRC’s Partner National Societies in the international Red Cross and Red Crescent Movement.